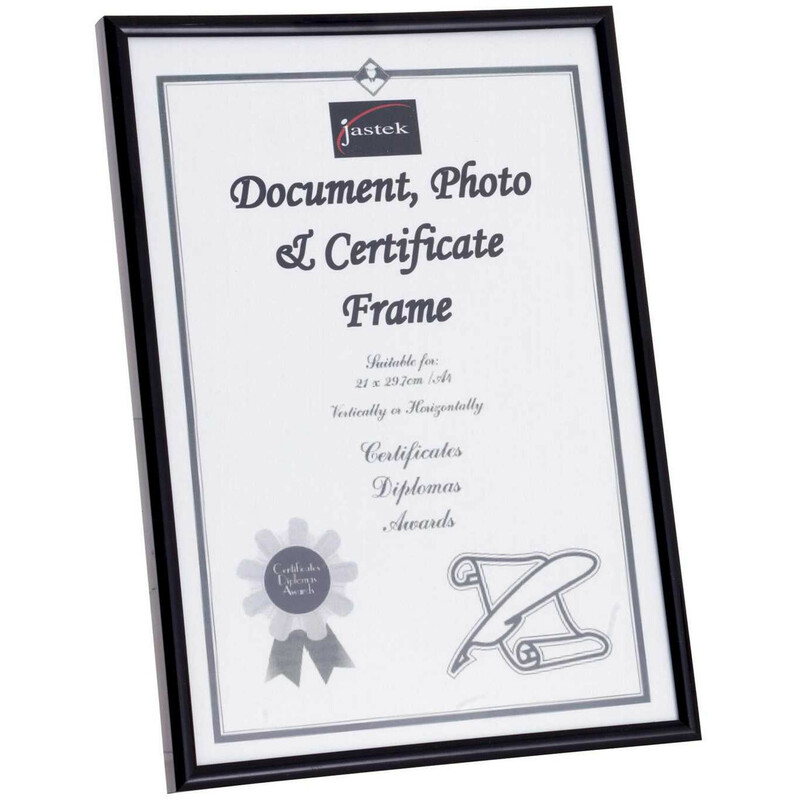 This plastic document frame will accommodate and show off any diploma award or citation. It will perfectly display your business awards and achievements with an professional and sophisticated style. Protective glass overlay and mdf backing. Hooks available for hanging both vertical and landscape.